E-retail has existed for over a decade now,both in India and abroad. According to a recent report by L2ThinkTank on Gen Y affluents’ digital habits, 63 per cent use social media to engage with brands, while more than 50 per cent say that Facebook, blogs, and brand videos affect their opinions about products, and websites are as influential as physical stores in shaping the sentiments of the Gen Y, second only to friends’ opinions. Though the traditional high street shopping format remains appealing, but the fact remains to be that convenience and cost are at the core of retail, and online shopping hits these areas in full force. Today, one can order anything, from a cab to vegetables, online. Majority of the purchases today are done after thorough online research. It can be said that from being the unreliable retail space, e-retail is becoming the more reliable channel in present times. “For the retailer, e-retail means lesser investment in terms of infrastructure. All you need is the right product and smart marketing to start selling online. Low investments and growing popularity have urged more and more business aspirants to take to e-retail,” opines Pawan Gadia, CEO, Retail & Online, Ferns N Petals (FNP). Dhruv Gupta, CEO, www.gkboptical.com, says e-retail is a big opportunity in India as domestic consumption story of the country remains intact. Today, consumers are undoubtedly exposed to the style trends across the globe and are demanding quality products. E-commerce portals have also achieved considerable success in instilling consumer confidence in e-retail, leading to an increase in deal sizes. Apart from other obvious reasons, Harish Bijoor, Brand Expert & CEO, Harish BIjoor Consults Inc, says an important consideration of e-retail is that it is totally discreet. According to him, it is a confidential shopping mechanism at play. “You can pick up lingerie of the most exotic variety without seeing a sneer on the face of the shop-keeper,” he adds. Bijoor highlights that e-retail is today growing differentially across categories. Since the base is small, some categories witness a 600 per cent growth while some, a 220 per cent growth. “Today, we have 121 million Indians on the web. Of these, we have 43 million people who are the prime audience for e-retail mechanisms as of now. My prognosis is that we will have 320 million internet users by December 2014. As this happens, expect e-retail to boom,” he says. Bhasin says that the e-retail industry in India is still at a nascent stage. It is estimated to be around Rs 27 billion and has grown by nearly 18 per cent over 2011. “Currently, over 100 million of India’s population has internet access, the third largest in the world, after China and the United States. Out of these 100 million, only 10-12 million Indians transact online, ie, the penetration level is only 10-12 per cent. Going by the current growth rates, India will outnumber the US netizens over the next three years,” he adds. 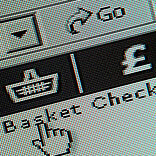 Will it affect the non e-retailers? Undoubtedly, the future of retail space lies in e-retail. Anybody who is not present in the internet space is losing out on opportunities in the booming e-retail market. While e-retail will not completely destroy traditional retail models, one can’t afford not to have an online presence. From being niche and novel, e-retail is becoming a necessity for all retailers. “The ever growing market place sites like shopo.in are testimony to this premise,” says Gadia. “We have already experienced a significant shift in our shopping habits with online becoming the norm. This trend will continue unabated, but not without some challenges,” he adds. There are ample cases internationally, where physical retail companies have successfully ventured into e-retail. www.gkboptical.com is one such example. The online store was launched by GKB Opticals, which has expertise in delivering cutting edge eyewear to cater to the wider target audience. GKB Opticals stores and the e-portal complement each other not only by addressing logistical challenges but also give customers an option to physically see the product, get their product serviced and accept delivery of their orders at over 60 GKB optical retail stores in 17 cities of India. Gupta says e-retail will flourish along with the physical retail business as there is enough space for both e-retail and non e-retail business to grow in India. Both physical retail and e-retail have their clear benefits to customers and they can complement each other. E-retailers have started investing in warehousing facilities and building a robust supply chain system. Outsourcing delivery became a key trend during 2011. Bhasin explains that it helped reduce costs and provide better service to consumers. “It is thus not surprising that it was one of most favourable sectors for investment. We expect this trend to continue through 2012. E-retail also witnessed high levels of PE investments,” he avers. “One of the key trends to look out for is mobile commerce (m-commerce). With an increasing number of smartphone users, shopping applications (apps) will provide search as well as purchase options to consumers,” Bhasin adds. Taking a look at the wider aspect, the industry is still unorganised. There are no best practices. It is new and it is fresh, which makes it all the more exciting. While there are some basics of doing business, which everyone is aware of, e-retail has some specifications and we gather that information from experts in the business. Gadia comments that since e-retail is much easier to replicate, the one with the best technology is usually the winner. The biggest challenge is that the business thrives on technology and one constantly needs to upgrade and keep pace. He further points out that successful e-retailers will consider carefully how they can keep up with demand, especially during peak periods, where purchase levels can increase five-fold on average volumes. Trained manpower and advanced logistics are extremely important for the delivery to be done in the stipulated time. Apart from technology related challenges, Gupta says the challenges include logistical challenges of serving customers in all areas, delivery costs and low success rate of payment gateways, which lead to failure of customers’ attempts to pay due to large number of transactions. Bijoor says e-retail will, however, bring a balance and face the challenge of clutter. According to him, a few e-retailers, who service the market well with credibility, will emerge at the top while the others will sink. Bhasin adds that Indian consumers still prefer store shopping, for some of the key segments – food and grocery being the most significant. Indians still prefer to buy small portions of fresh food and grocery rather than keeping large stocks. In-store marketing also offers benefits in terms of sample testing of products, especially for the products of premium category, and efficient sales personnel play a vital role in helping consumers make a decision. Bhasin says it is also critical to build backend facilities and getting the logistics right. Further, some consumers are skeptical about using credit cards for online transactions due to security concerns. According to him, one solution to this is to issue credit cards with low credit limits and e-retailers proposing cash on delivery models.